In Donbass, the situation on the contact line between the Ukrainian Armed Forces and militias of the people’s republics is deteriorating while both sides are accusing each other in violating the ceasefire. On Mar.17, official DPR sources reported the Ukrainian military violated the ceasefire 43 times and shelled the territory of the Republic 279 times using grenade launchers, artillery, mortars and battle tanks. The most intense shellings were observed at the residential neighbourhood Trudovskiye, the Volvo Centre, the Donetsk airport, Spartak, Yasinovataya, Zaitsevo and others. Donbass militia is continuing to register concentration of Ukrainian military equipment at the contact line: 30 IFVs have been registered In Luganskoye, a tank platoon near the locality of Nikolayevka and different engineering equipment near the localities of Novotroitskoye, Novomikhailovka, Vodyanoye, Avdeyevka and Kamenka. In turn, the Kiev’s side reports that the Ukrainian army positions were shelled 42 times. According to reports, the areas near the villages of Novotroitskoye, Zaitsevo and Troyitske were an epicenter of the events. 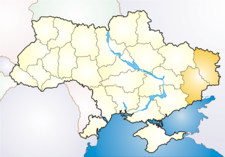 Thus, Kiev and Donbass republics confirm that the situation remains tense and low intensity war is continuing. According to pre-military reports, sporadic clashes are erupting at the most part of the contact line.